Modern bikes are getting more and more powerful day by day. With so much power at hand, riders always run a risk of spinning out on the road or even off the road due to loss of traction. Even the slightest of the throttle twists could send the bike sideways or lead to a dangerous high side, risking the riders life. Realising their responsibility, most bike makers offer a traction control system with their powerful machines in order to keep wheelspin to a minimum under various conditions. 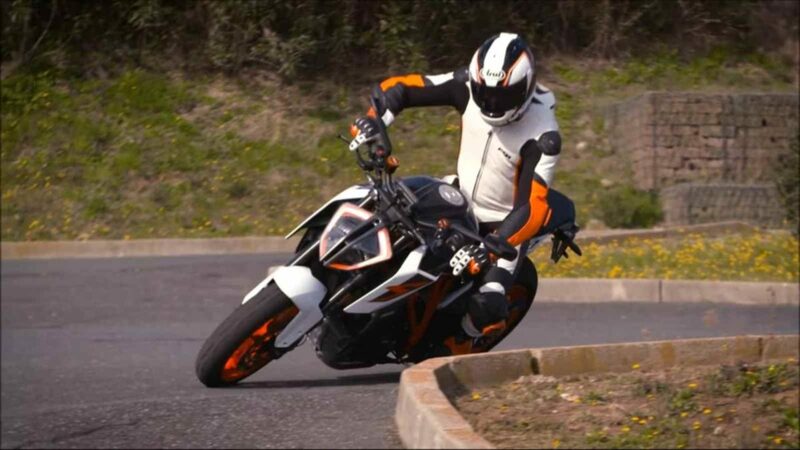 Here is a video as to how MTC, a sophisticated traction control system offered by Austrian bike maker KTM works. A traditional traction control system would rely on the difference between the wheel speed of the front and rear wheel, to intervene and slowly reduce the power input to the rear wheel. 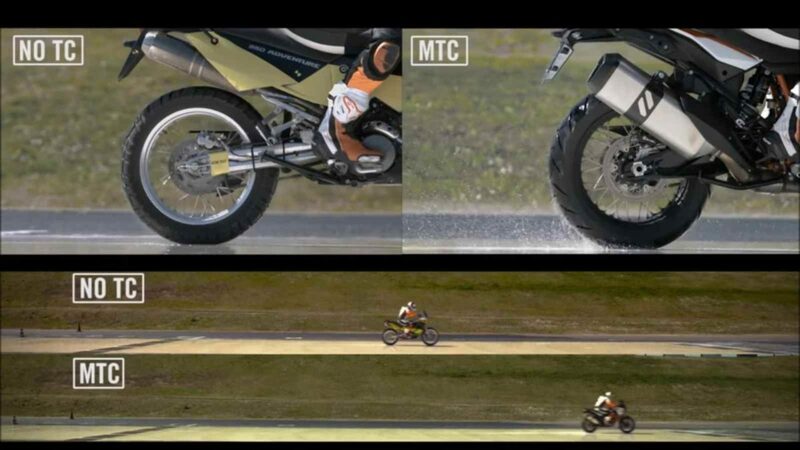 In KTMs, however, the traction control kicks in even before the wheels are allowed to spin. This is possible because of the torque request sensors which check the engine speed, throttle input and engaged gear, to intervene much before the wheel starts to spin. As seen in the video, when starting off in low grip situations, the bike with no traction control struggles to put the power to the ground, leading to much slower start when compared with a bike with traction control. The system also makes use of pitch and lean angle sensors and an accelerometer, which help the bike maintain traction even in the middle of a corner. The video demonstrates a professional rider, going all out in between a corner. Due to the lack of grip, and a sudden burst of acceleration, the bike goes sideways. This would not only put the riders life at risk but will also lead to loss of time had it been a race. The traction control equipped bike does the same corner without any drama. The effects of the mid-corner acceleration test are further exaggerated by introducing water on the track, making the difference a bit more evident in the video linked below.